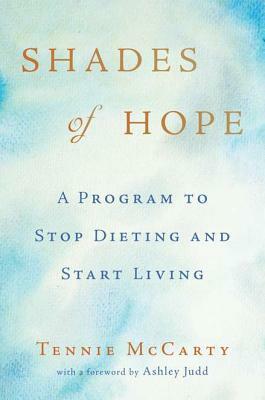 One of the foremost experts on eating addiction, Tennie McCarty uses her own inspiring story, as well as the treatment from her famous retreat center, Shades of Hope, to help readers break the endless cycle of diets. This is not a guide to losing weight. There are millions of people who bounce from one diet to another without understanding why because they never look beyond their plates. McCarty believes that food addiction is a physical and mental problem with a spiritual solution. An interactive book that asks readers to be a part of their healing, Shades of Hope shares the teachings, therapies, exercises, and mind-set that McCarty has used and developed throughout her career in treating addiction. Drawing from her own personal story, as well as those of her patients, McCarty shows readers how they can create new relationships—with food, their loved ones, and themselves. Tennie McCarty is widely recognized as one of the foremost experts on addiction, especially eating disorders. She has more than thirty years of experience with the treatment of addictive diseases. She has appeared on "Ruby, " A&E, "The Dr. Oz Show, Nightline, " and Oprah's OWN. Tennie McCarty lives in Buffalo Gap, Texas.